This weekend brought about a major milestone in our Hall Government: I, along with our Administrative Director Michelle, rewrote nearly our entire Hall Constitution. This was a change that was long overdue, and it is a great relief to have corrected many inconsistencies and confusing language in it. I quite enjoy preparing useful documentation, so it was very satisfying for me to clean up the document for others. Besides working on our Hall Gov constitution, there was also some progress made on our aquaponics. I purchased a clear Sterlite bin to use to hold the growing medium. 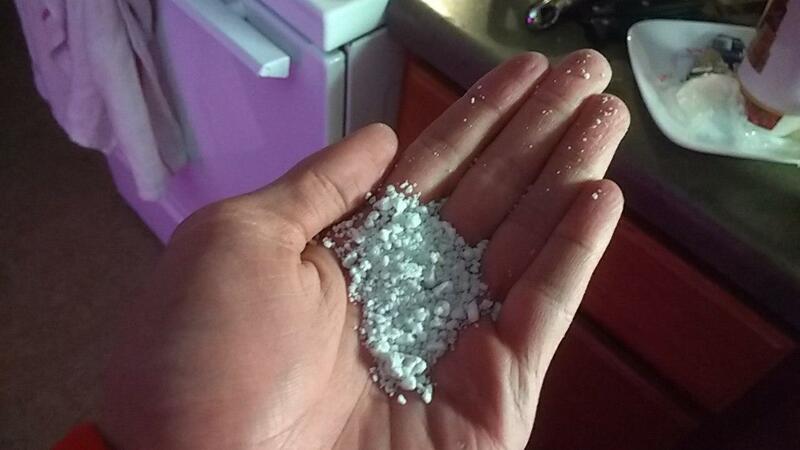 We've decided to use Perlite for growing our plants in, but we'll have to get more to fill the bin up. From our research, Perlite is a popular growth medium for hydroponics and aquaponics. It is a sort of a sandy volcanic gravel, and is a translucscent white color reminscent of Epsom salts. However, it is extremely lightweight (like Styrofoam), which will be very nice for our system - our previous use of river rock resulted in a very heavy top bin. I also purchased a PVC box that I'll be mounting the relay circuitry inside to control the new pump. Next, I'll be getting a relay and transistor to mount inside along with the 15A fuse.